However, this would be a better mod than vanilla. Did you use a mod to create the ants in the info? i would like to see with it though random ants soldiers/workers on the surface. and maybe if two ant colonys spawn close to eachother one of the ant colonys would try to kill the other colony queen as to protect their territory? Along with the super-mega nice variety AND AMOUNTS of drops (multiple red sand blocks PER ant? wow!) this would break harvesting stuff manually. Spawners should stay rare. Guardians are THOUGH GUYS. Mini-bosses. These ants are a dime a dozen especially the workers. The drops are too generous. 0-2 resin nugget (or just 0-1 resin ball) + 0-1 red sand block is sufficient for workers, for example. The soldier ants don't "work" like the workers, so logically speaking they would not carry resin or red sand. Queens however could give lots of resin, and no sand. Just how would the game determine to stop spawning normal mobs around some area, and spawn all these ants instead ? Then adjust your original post accordingly. Having a nest work like a village with a "radius'" within which ants spawn instead of normal mobs would NOT work. You'd get a tunnel network (or whatever other natural structure) NEAR a nest structure, and the ants would also spawn exclusively in those tunnels, even if the tunnels do not connect to the nest. so the criterion must be something specific to the nests. Maybe instead of using tons of spawners, the spawn cycle rules could use the presence of the new resin block ? Find a way ! This is a nest, and a big one at that (multiple tunnels and rooms). Not a "super dungeon". You want to get rid of all the normal mobs ? Maybe the entire nest is filled with a lot of light-emitting blocks. Amber Lamps everywhere would be a bit too much. But what if the resin block itself emitted a LOW amount of light ? Just enough so normal mobs wouldn't spawn at all the areas with the most resin, and spawn a lot less in most of the rest. The ants would just make short work of any normal mobs that still manage to spawn. Making the ant nest caves have non-flat floors but more curved would also mean normal mobs would tend to spawn a bit more often, sure, but in smaller packs. Or maybe add a new ambiance entity in nests: light-emitting slow-moving little fireflies swarms (a few particles centered on an invisible non-moving 1x1x1 coordinate that is basically na air block emitting some light -- NOT a moving light source because those create horrible lag). In that case, the swarms "spawn" for a while "from" resin blocks, with some random offset, "fading in", stay for 5 minutes (or until the "air" block is replaced by something else), and then "fade out". Or just one bigger particle. Or maybe a pseudo-mob: luminous aphids. Kinda like how cocoa pods are immobile, aphids would be immobile and generated as blocks, not as moving entities. Lots of ways here, all leading to making nests filled with light = almost no standard mobs. Maybe aphids slowly lose light levels with time but ants can "feed" these aphids, making their light return to full. So a player would have a really hard time lighting up his house that way lol (but maybe still possible using special tricks - an alternative homebase light source that is not a full block would be really great). In any case, Ants could then simply spawn atop fresh resin. Maybe the resin itself could exists in more than one type/color. Yellow resin for worker ants, red resin for soliders. A bit kind of how we have yellow and red sand lol. Or maybe some hardened resin could also spawn naturally. Worker ants would spawn atop fresh resin, and Soldier Ants atop the hard resin. Maybe Queens could spawn only at world generation. Or maybe it is the queens which spawn the other ants, and the less other ants are around the queen, the more they can spawn ants. Kill all the queens, and you have effectively killed the nest. In any case, ants should "remember" their spawning coordinates and tend to not go too far from it, or only for a short while, especially the queens. I also do not like having all the ants hiding "under" resin blocks. Feels weird. It would be better to have an Ant Egg block, "resin" that is opaque, with Baby Ants (half worker size) popping out of those when there is an intruder. this would help making the total numbe of mob entitiesun loaded chunk stay manageable, instead of sudeenly getting lots of lag because a new ant nest generates with literally scores of ant mob entities "stuck under resin blocks". Very problematic. You don't want the nest to mostly turn to hardned resin over time ecause the player simply did not find the nest and played for a few hours staying outside and above for whatever reason before finding the nest and then going in. You want a nest to look mostly the same no matter how long it was in a loaded chunk, for the nest to always be "ready" to be actually freshly discovered by a player, wether the player just recently came into the area or lived in a base right atop the nest for hundreds of playing hours. So I'd just leave all the resin naturally found in the nest to stay that way, and say require smelting to make it hardened or something. Please tell me how I can succesfully put resin nuggets in a 4x4 shape. Player crafting is 2x2 and normal Crafting Table is 3x3. Must I use a super-crafting table from some unknown mod ? Maybe you meant 4 nuggets in a 2x2 shape ? Fix this. In any case, NUGGETS should always combine into ingot-sized items in a 3x3 recipe shape, and most eveything that is NOT a gem (diamond block), an ore (coal block), or a plant (wheat block), should combine in a 2x2 recipe shape (like all the other recipes like the ones to get clay from clayballs, wool from string, quartz from quartz shards, etc.) amnd not in a 3x3 shape. I'd rather see ants carry ONE item at a time of non-negligible size i.e. resin balls (2x2 to make a block), than lots of tiny resin nuggets (3x3 to make an ingot-sized item, then 3x3 again to make a block). Just try to follow the already existing design rules Mojang did for the Minecraft recipes as best you can, ok ? Creating exceptions without a strong reason just weakens the solidity of an idea. Amber Bricks Stairs is shown but have no arrow text. Amber Bricks Slabs seem missing. Chiseled Amber should probably be renamed Chiseled Amber Bricks. In fact, the entire family of Amber blocks also seem missing: Amber Slabs (NOT Amber Bricks Slabs), Stairs, etc. You basically seem to have 2 choices here: treat resin like clay (IMHO the best approach), in which case it leads to hard resin and resin bricks (or amber bricks if you insist, but really I wouldn't make resin turn into a type of stone). Amber works like a true Stone, and you have Amber AND Amber Bricks and both families of blocks (slabs, stairs...), but NOT also a link to a clay-type material (i.e.the basic resin). In fact, this Resin + Amber thing feels like trying to have a super-material that covers too much ground. Choose one OR the other, not both. Personally, I see the Amber thing as a totally different equivalently nice idea, totally unrelated to the Ant nest idea. I'd stick with the word "resin" for everything related to the ants and leave all the bricks and slabs and stairs stuff for a true new Amber stone type (such a stone sure would look WAY better than the ugly granite and weirdly named geology science class diorite and andesite). I totally fail to se any link between "ants/resin" and Amber. To me it feels like if you could craft Jade blocks (and slabs and bricks and everything) by smelting slime balls just because slimeballs are green. Dubious link at best. So yah be proud of all your Amber work, but IMHO the ant idea would be better ofrf if all that Amber stuff was a totally SEPARATE suggestion. Trying to put too much stuff in the same horse cart can be as bad as not putting enough, ya know ? Also, did you think about Chitin ? Or mandibles ? Those could make interesting Soldier Ant drops. Ants should have specific armor points. Go check out the official wiki, see how mobs are described and try to follow that pattern. A Zombie isn't said to "have armor like X pieces of leather", it is said to have exactly 2 Armor Points. Follow the same pattern. Make a big image showing all the recipes. 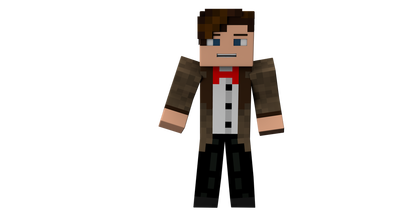 You can use http://minecraftrecipedesigner.com/ as a starting guide. Overall, nice idea. It would really make mesas super cool. Seriously, I wouldn't even limit this ant idea to mesas only. They're that cool. LOVE the Ant models. This is not nice work, it is EXTREMELY nice work. Wow, that's a lot to process. I'll do my best. Hmmm, yeah...your right. I kinda took the lazy road and just said, "Hey! Spawners! That works!". I'll have to find another way to do the spawning thing soon. Ok! I have an idea! The spawning would be like combining a nether-fortress-wither-skeleton spawn code thing with the mooshroom-noHostileMobs-biome thing! So it would require Pack Spawning to check if the chunk contains an "Ant Tunnel" tag, and if it does, no hostile mobs will spawn in that chunk, and ants will spawn instead! This is like the pack spawning with Ocean Monuments where only guardians can spawn (a dark, hollowed out monument won't have mobs spawn in it)! The only issue is, again, distribution. Ant queens need more ant soldiers, garbage rooms need more workers, ect. Like, you could further divide the ant dungeon into separate, ant dungeon chunks. Each could choose to have a different ant type weight (like one has 50% each ant type, one has 25% worker, 75% soldier, ect), so different ants spawn more commonly in different chunks! And the rooms can spawn based on chunk, so that there is always the correct proportion of ants in the correct room! Find a way. This is a nest, and a big one at that (multiple tunnels and rooms). Not a super dungeon. You want to get rid of all the normal mobs ? Maybe the entire nest is filled with a lot of light-emitting blocks. Amber Lamps everywhere would be a bit too much, but what if resin blocks emitted a LOW amount of light ? This would make enough light almost everywhere, enough that normal mobs would not spawn at all in many (not all) areas, and have reduced odds of spawning in most of the rest. Those spots would just have some perpetual territotiry wars. Amber Lamps would give much more light. Ants could then simply spawn atop fresh resin. Maybe the resin itself could exists in more than one type. Maybe some hardened resin could also spawn naturally. Hardened resin is currently the only one that spawns naturally, though I'll change that. Worker ants would spawn atop fresh resin. Soldier ants atop the hard resin. Queens could be spawned only at world generation. Kill all the queens, and you have effectively killed a nest. Or maybe it is the queens which spawn the other ants, and the less other ants are around the queen, the more they can spawn ants. I like that, I'll update the OP. Very probablematic. You don't want the nest to mostly turn to hardned resin because the player waited a few hours staying outside before going in.It was hardened resin to begin with, but maybe there could be a "no decay" tag on some, similar to leaves, so that some doesn't harden? I'd just leave all the resin naturally found in the nest to stay that way, and require smelting to make it hardened. Amber Bricks Stairs are shown but have no arrow text. Amber bricks Slabs seem missin. Ok, I'll update that soon-ish. Make a big image showing all the recipes. You can use http://minecraftrecipedesigner.com/ as a starting guide. It doesn't seem to work with custom textures, or am i doing this wrong? Nice idea. It would really make mesas super cool. Seriously, I wouldn't even limit this ant idea to mesas only. They're that cool. Ok, Hopefully I addressed some concerns. If I missed anything, just holler! I used Techne, which is it's own separate program. Its fun to use though! For the spawning, I'm thinking of something completely new. Ouatcheur brought up some interesting points, so I will try to create something around that. Nah. Some ants like to wage war on other ants of the same species, but Argentine Ants, which are partially the inspiration behind this idea, kinda have a global "mega colony" going on right now. So the ants I'm suggesting don't usually attack one another, since they are kinda all one colony. Also, this is gonna be hard to model. Such beauty in that photo. If you could get it closer to that, the model would look even better. The hard thing is going to be making the abdomen bend under the legs after it spots a player (like a skeleton raising it's bow in 1.9), so that it could then fire a projectile. It has to be done in a way that doesn't look too clunky. As for the projectile, maybe the new "lingering" potion could be used to some effect? "The spawning would be like combining a nether-fortress-wither-skeleton spawn code thing with the mooshroom-noHostileMobs-biome thing! So it would require Pack Spawning to check if the chunk contains an "Ant Tunnel""
I am not sure I understand all that. I haven't seen those mechanics at all anywhere. First of all, the game couldn't "check back" if a chunk contains "X structure" by analysing the surrounding blocks. That would way too be CPU intensive. It would work better the other way around: whenever a structure is FIRST generated, the chunks in which it is generated gets tagged. But that would only mitigate, not resolve, the issue. After all a chunk section is 16x16x16 pixels. You could have several tunnels right on the other side of a wall, and a single block of nest in the chunk's side which "tagged" that chunk. Basically, EVERY tunnel network very near a nest would on average get filled with ants instead of normal mobs over a width going from 0 to 15 blocks, with normal mobs spawning in those tunnels right besides them. Total war. A player traveling those tunnels would get a SUPER hint that there is a nest on the other side of a wall simply because he'd see ants appearing out of tunnels, not out of a nest. Second, I think you might maybe mistake the way the spawning of Nether Skeletons and "no-mobs-on-mushroom-islands work. "Do not spawn on mushroom island" is easy: it is biome-based, and the game already has some kind of biome mapping otherwise it would not be able to stop raining at the edges of deserts, for example. See how even the dirt you placed in a desert border, letting grass grow on it, doesn't still get rain because it's "inside the desert biome" ? That's how it works. An Ant nest would just be an underground structure, much closer to say an Abandoned Mineshaft, and is not an entire biome. The spawning algorithm basically FIRST select an air block, THEN an XZ (not Y) offset and tries to spawn a pack from there, but only in non-hitbox blocks over solid ground. This is why a TOTALLY flat icy plain covered in snow (custom flatworld) does not spawn mobs: snow is not an air block, so the spawning algorithm immediately stops. But with a slope nearby, an air block can be selected, then with the offset the final spot can be snow over solid ground, and snow has no hitbox, thus mobs can spawn there. So the flatter a snowy area, the less mobs will spawn. Works also to a much smaller degree in very flat plains : all the tall grass around reduces the odds of that initial Air Block from being "found". "Spawn only in Nether forestress". I don't think this is based at all on some artificial entity defining an "area" (like NPC villages), but more on the type of ground block mobs can spawn upon. Nether fortresses have Nettherack Bricks EVERYWHERE and those bricks don't appear anywhere else in the Nether. I think that is how Wither skeletons can "spawn": the type of block under the spawning spot is checked. Basically, when a Nether Fortress is generated, the coordinates of the fortress is saved along with the entire list of fortress parts. I suppose each region file has some kind of list of fortresses, so the spawning algorithm can link which Nether chunks contain which bits of Nether fortress. That again would not be determined by analyzing the surrounding blocks, but simply saved directly when generating the fortress the first time around. I suppose a similar technique could be used for a nest, even though the rooms and especially the tunnels wouldn't be rectangles (so it would definitely not work perfectly). Some of the cuboids would simply have a different value for "room type" so you'd get more or less odds for specific ant types for each section. Still, an ant nest would not be made of nice rectangular parts, so I'm not sure that this would be the best approach. A bee nest would be easy: the entire nest is unique blocks. But for the ant nest you want the naturally generated blocks to show. So yeah we're left with either some kind of cuboids list like the nether foretresses, or lighting to remove most normal mobs from the place and using the new resin blocks instead for the ants. Which would probably mean that ANY resin block ANYWHERe can spawn ants ? Lol ! But just keeping ONE "center of nest" corodinate with a nest radius 9like for NPC villages) would solve that: ants spawn inside nest radius, IF resin found under the initial air block of spawning algorithm. A decay tag like Leaves have would also work well too. Even simpler that way. I have an idea: go with the cuboid idea. However, instead of simple rectangles, they are rectangle with a center coordinate AND a maximum normalized X+Y+Z distance (X offset relative to rectangles X size, Y offset vs rectangle Y, etc.). Thus you get three values from 0 to 1, and if the total is say <2, you're "inside" the ant room. That means the cuboid will fit much better non rectangular rooms without adding too much complexity. For the ant tunnels, however, this could be very tricky. Either the ants just don't spawn in the tunnels (but will simply roam there), or the tunnels get to be more-or-less-straight and made up of several such sections. Overall this seems a bit complicated to pull off. Yeah I goofed and assumed all the resin in the nest was soft, not hard. Hard resin being the default makes some sense, tough. Anyway the no decay tag seems the best approach by far. Simple, totally effective. Allows more variety for looks of inside of nests. Or just let the soft resin stay soft forever. Always even if player placed. One more decorative block that way ! Minecraft recipe designer: yeah it can't accept custom icons, this really bites I know. I meant to use that as a STARTING way to get the "normal" items in the recipe, then use ANY image program to place your own special icons over the whatever icons slot ingredients that are missing. Or at worst you just use one of the default icons closest to the look of the item you want, and right abvove all recipes you just write a Legend: "Clay Balls actually represent Resin Balls" etc. I use an old version of PaintShop Pro (free to use without pirating !) which is somewhere halfway between Windows Paintbrush (suckiest image program I know) and PhotoShop (only for those with pockets filled with lots of latinum). 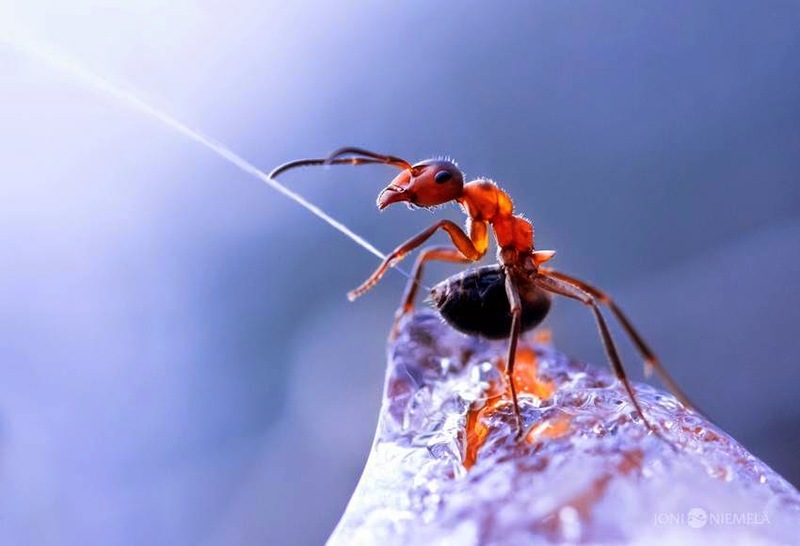 Nice image of attacking ant. for rendering in-game I'd just use a quick jet stream of lots of tiny 2D "droplets" particles. After all, the Ender Dragon's new breath is basically a jet of particles too, so it would work well I think. Please don't make the ant rooms too big, especially not too high. While nice for an image, in practice the player should feel a bit cramped in such quarters. Those are ants. Big ones yes but still the kind of insect that likes cramped tnnels and rooms. Not giant caves hollowing machines lol. A projectile attack is not really strictly 100% necessary. A mandible attack could work just as well. I'd start with only that. >>> Ant jumps in place, straight up. Not high, just enough to quickly move rear legs in straight down positions (so that when it falls back down, it's entire body is "higher than normal", especially the front part) and also give it just enough time to "twist" it's lower abdomen forward. After attack, same "jumping to reverse the entire stance change". Can act as a nice warning for the player that he is about to get sprayed. The acid should definitely deal some ongoing health and armor damage effect, too. Drinking Milk or touching a liquid (even lava !) should immedaitely take care of it. Standing in liquid should in fact make you immune. So, would drinking a bottle of water act like drinking a bucket of milk? Or would you have to touch water? I'm thinking: the acid is washed away by other liquids, so merely drinking water would not hlep. Meanwhile, Milk is assumed to remove ALL effects. I added drinking Milk only for that reason. Now, if milk removes only "inside the body" and magical effects, then even Milk would not help either. Depends on the mod maker i guess lol. Jeb had mentioned last year about adding some kind of structure to mesas, and this a possible choice. But don't expect him to add this exact structure. He and Dinnerbone like to be creative with their works. Is there any special item dropped by the queen? Like, idk, maybe a royal jelly that makes ants passive, so it's easier to farm them for resin. Or simply a Queen's Head to show off that you killed a queen. ....An Ant queen head sounds cool. Support. Well thought out and explained, and a good idea overall. This would add more life to the mesa biomes as well. Full support, this is epic. ...you still havent answered my question.